Kooper was our Yellow Lab who was born on January 14, 1995. At the early stages of puppyhood, he contracted parvo (a very difficult disease to overcome). He beat the odds and lived until May 2nd 2007. His friendship and loyalty were second to none and now his legacy will live on forever. 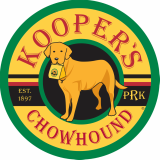 It was, and is my mission as the restaurant owner to make sure all of our guests have fun at Kooper’s. 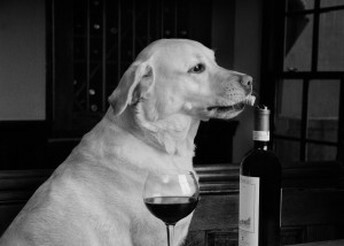 Woody his brother, our black lab, has a restaurant two doors down above our Irish Pub… Sláinte. He too has gone to that place above full of biscuits and tennis balls. The two of them have once again been reunited and now look down upon us. We have added three new members to our family; Haywood our black lab, Leon (lee-awn) our little French doggie (a petit basset griffon vendeen) and Ronan our yellow lab pup! As he wanted it, we built Kooper’s Tavern on the reputation of great food (he loved to eat) with excellent service and plenty of libations to go around. If you are looking for a place to host a party, no matter what the occasion, we will make it the perfect place. Our second floor dining room is perfect for private parties. The fireplace makes it during the winter, Kooper’s Tavern, Sláinte Irish Pub and Woody’s all support the following Charities. We hope you will participate in our efforts to raise funds and awareness for these worthy causes. Please join us, eat, drink and be merry!